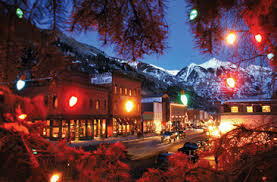 Start your holiday season in downtown Telluride on Wednesday, December 5. Local shops offer creative, diverse, imported and homemade goods for your holiday shopping lists. Santa Claus awaits and joyously visits with children to listen to their wishes for the holiday season. Dine at your favorite local eating establishment with friends and family in between shopping. Local retailers and restaurants offer discounts of up to 40% off!